Often confused for a German Shepherd, the Belgian Malinois is a loyal and intelligent dog. Initially bred as a herding dog they are now more commonly used as guard or security dogs. Are you thinking about buying a Belgian Malinois or do you already own one and are looking for more information about them? Well this article is for you. Can A Belgian Malinois Be A Family Dog? How Much Do Belgian Malinois Cost? The Belgian Malinois is smart, loyal and confident dog. Fully grown they are a medium sized dog that should weigh up to 80 pounds, with most weighing 60-70lbs. 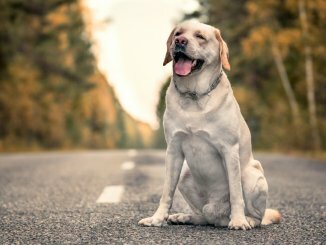 They are known for their love of working and are generally full of energy; any owner should be prepared to thoroughly exercise this breed both mentally and physically. Like the German Shepherd this dog can also suffer from hip and elbow dysplasia so you should make sure any pup you get comes with a certification of health checks. If you’re wondering how to pronounce Belgian Malinois you’re not alone! The Belgian part is easy enough. However many people pronounce Malinois like “Mal-i-noise” when it should be pronounced “Mal-in-wa”. The first thing to note about the Belgian Malinois’ appearance is how closely it resembles the German Shepherd. In fact to the untrained eye you could be forgiven for confusing the breeds. We even cover this in our Belgian Malinois vs German Shepherd article here. Whilst slightly smaller than a German Shepherd, they are still a medium sized dog that have a presence. They have a simple, earnest look to them. One feature of this breed is their proud stature and posture of their head. Their coat color can vary from mahogany to a light yellowish tan. Typically, their face is black with large chocolate colored eyes. A fully grown male Belgian Malinois should stand between 24 and 26 inches tall, whereas a female will stand between 22 and 24 inches tall. Again males should be slightly heavier weighing 50-80 pounds, with females weighing up to 60 pounds. The base color for this dog can range from a light yellowish tan to a mahogany; you will notice the tips of their hair are black giving them a dark appearance. Their back and head are generally darker in color and progressively getting lighter towards their belly. Ears are also black. Whilst the AKC doesn’t issue strict guidance on color, they do mention that this breed should not be a washed-out fawn color; this would indicate it isn’t a true Malinois. Some white spots around the breastbone can also be expected. You may have thought you can find a brindle Belgian Malinois, however this is actually the Dutch Shepherd. Like a lot of other herding breeds, they have a double coat. The top coat is short and hard to the touch, whereas their undercoat is dense and soft. If you look closely at a true Malinois their coat will get slightly longer around their neck. In terms of shedding they shed constantly throughout the year (more on how to groom them later). The first thing to know about the Belgian Malinois’ temperament is that they are a working dog. They were bred to protect livestock in their homeland, Belgium. Because of this they have a high prey drive and energy to match. Malinois’ are intelligent dogs who can be trained to master a wide variety of tasks/roles. They have a high desire to work and are at their best when they are regularly put to an activity. Nowadays they aren’t used for protecting livestock, but for protecting man. If socialized correctly they are a confident dog who will be protective in any given situation. They will not show signs of aggression or shyness in unfamiliar situations and are on an even keel. Interestingly, just like the German Shepherd, they can appear to be aloof with strangers, but with family members they are loving affectionate dogs. Once he forms a bond with your family he will be naturally protective. This is why they are commonly used as watch/guard dogs. It’s an innate skillset of theirs that has taken years of selective breeding to produce. Remember it’s not possible to predict their exact temperament as not only is it hereditary, it is also impacted by nurturing factors such as socialization and training. As previously mentioned they are naturally aloof/cautious with strangers, so you should seek to socialize them from a young age. Welcome to the most controversial topic surrounding the Belgian Malinois. There is a heated debate surrounding whether these dogs should be kept in a family setting. As they were bred to herd, they have incredibly high levels of energy and need the correct amount of physical and mental stimulation. They have a high prey drive and are known to chase young children when they move quickly. A Belgian Malinois loves to bite things. This isn’t necessarily always aggressive, they bite when playing, but this love of biting can make them unsuitable for certain families. None of these issues mentioned above are catastrophic. 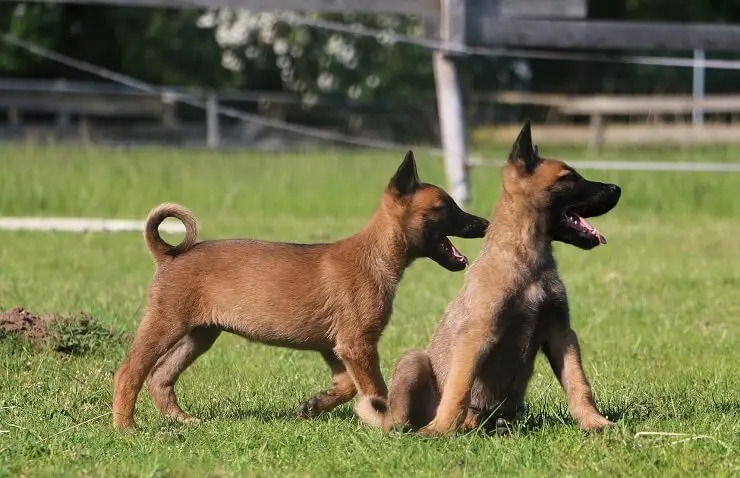 As an intelligent dog, the Belgian Malinois can be trained into a perfect family dog; however it does need to be paired with a suitable family. Ideally an active family, with a strong leader who has the time and knowledge to train this dog properly. After reading the temperament and breed overview section you know that the Belgian Malinois is a working dog. This means they need to be disciplined and trained exceptionally well otherwise destructive behavior can occur. They are intelligent dogs that are suited to many tasks and can be trained to excel. They are very sensitive and receptive to emotions and tone of voice, so make sure not to use any rough/harsh treatment with them as they will likely rebel against this. Like we recommend with any breed, regardless of size, dominance based training should be avoided. Even if you did try to employ dominance based techniques you would struggle due to the size of a Belgian Malinois. You should always use positive reinforcement. As soon as you bring your puppy home you should start training them. Socialization is absolutely key with this breed. Due to their wariness of strangers, lots of socialization as a pup is key to build their character. One of their known traits as a herding dog is nipping, biting and chasing; it’s almost certain you will need to focus on these early on in your training. The best way is a firm and consistent training program. They also need the discipline of a training routine to meet their mental stimulation needs. When it comes to the Belgian Malinois you should know that they are very high energy dogs. In addition to at least 90 minutes of exercise every day they also need to be integrated into an active outdoor lifestyle. Their exercise sessions are best split up into at least 3×30 minute sessions. This helps to mimic their natural behavior when herding. Without both the mental and physical exercise your Malinois will fall prey to destructive behaviors such as barking and chewing. If you don’t have enough time to dedicate to meet this beautiful breed’s exercise requirements then we’d recommend you choose another breed. For the size of dog and amount of fur you will be pleasantly surprised at how little the Malinois sheds. Don’t get it wrong, they still shed, but far less than their German Shepherd counterpart. They will need brushing at least twice a week to keep their coat healthy; this will help to encourage new hair growth. Twice a year your Malinois will shed heavily (Fall and Spring). During this period of shedding you will need to brush them daily. If possible brush them outside otherwise you will need a good quality vacuum cleaner. You should brush their teeth 3 times a week. Their ear and eyes will need cleaning weekly. They should be bathed once a quarter and clipped if desired. Their nails should also be trimmed every quarter. As the Belgian Malinois is a carnivore, you will need to make sure their diet is predominantly meat based. 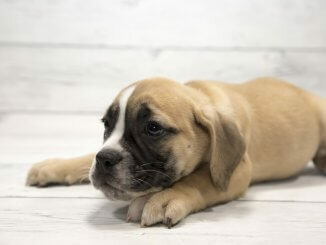 As a puppy they will need lots of protein in their diet to aid muscle development and growth; protein should account for roughly 25% of their diet at this age. You are free to feed them fresh, canned or kibble. Whilst kibble is the most convenient and typically the cheapest, it isn’t always the healthiest. When purchasing their food you should look at the ingredients in it. Lots of cheap kibble (dry food) is filled with corn syrup and other harmful ingredients. The easiest rule of thumb is, if you can’t pronounce the ingredients listed then look for another type or brand of food. In terms of feeding times and frequency, as a puppy you should be feeding them four times a day, as they reach six months old you can reduce this to two meals a day. Once matured you should be aiming to feed them between 1000 and 1600 calories a day depending on their weight and activity levels. Lighter Malinois (40-60 pounds) will be closer to 1000 calories, whilst heavier ones will need up to 1600 calories. As a Malinois is a purebred they are more likely to suffer health problems than cross-breeds and hybrids due to a smaller breeding pool. However as far as health problems go, Malinois are a pretty healthy breed. Eye problems in particular can be devastating for this breed. Issues like cataracts are more common in older Malinois and also progressive retinal atrophy. We talk about this in more detail later on but it’s worth mentioning again here, any reputable breeder will be able to offer certification and proof of health checks. If they are unable to do so, you should leave. In terms of hip and elbow dysplasia you can minimize the chance of this by ensuring you buy your dog from a breeder with evidence of good hip and elbow scores throughout the pedigree. You can expect a healthy, well cared for, Belgian Malinois to live between 14-16 years. As with any other dog, when you are buying a Belgian Malinois you need to do your homework beforehand. 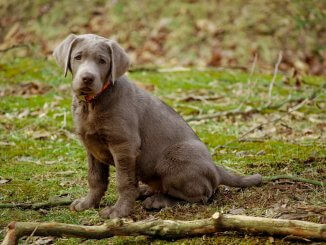 If you’re intending to buy them as a puppy then you will need to locate a reputable dealer. This can be a time consuming process but it is more than worthwhile once you find your perfect Malinois. If you rush this step and get an overly aggressive or sick puppy it can be heartbreaking. Once you have found a suitable breeder you still need to have your wits about you when visiting the pup. The first thing you should do is attempt to assess the temperament of the puppy. You want a middle of the road puppy (not too bouncy, not too quiet; not too shy, not too aggressive). Whilst this doesn’t guarantee temperament it does give you a fairly good indication. You can also meet elder siblings to get an even better indication about their temperament. You should also be invited to inspect at least one of the parents and ideally both. Remember when inspecting the parents that Malinois can be weary of strangers, however they should show no sign of hostility or aggression. If either the dam (mother) or sire (father) show signs of aggression you should leave and look for another breeder. This aggression rule also stands for the pup. You should also remember that credible dealers will supply all the appropriate registration and health screening documents. Belgian Malinois can suffer from hip dysplasia, so you will want their hip scores. The final point of guidance I will leave here is about the actual breeder. Any breeder worth buying from will also be interested in you. They should be asking you questions about your family, lifestyle and your previous experience with dogs. They will want to ensure their dogs go to good homes and don’t end up in the shelter. Belgian Malinois puppy’s cost $1000 to $2500 depending on their lineage. Obviously if you’re looking to buy a pre-trained Belgian Malinois the price will increase significantly. Belgian Malinois trained as guard dogs start from $20,000. 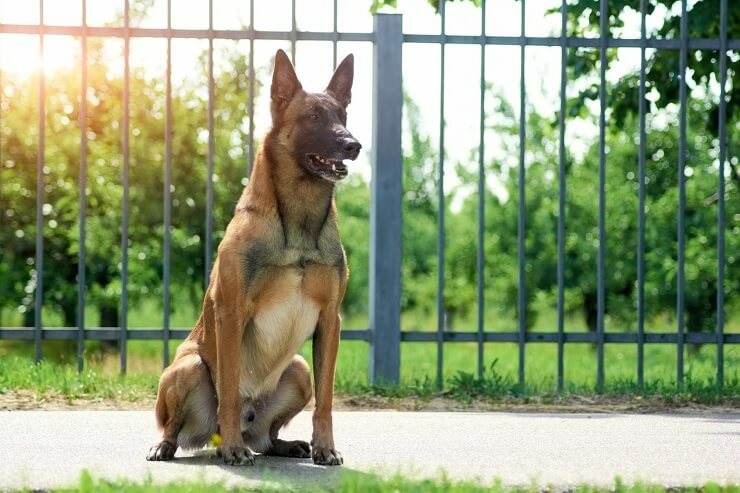 We hope this article has helped you understand whether the Belgian Malinois is the right dog for you. They are not your typical family dog and require special attention as a puppy. Malinois’ also require lots of daily exercise and mental stimulation. However in the right hands they can make a loyal, loving family member who excels as a guard dog and loves to be worked.